I usually prefer to adhere to trades on 'Positional' time frame. However, sometimes market offers opportunity of some quick trades. I feel current market scenario may be one such opportunity. I am referring to an expected bounce in Nifty. Lets take a moment to understand set up of Nifty and its chart. Its just 2 days for Nov series to expire. In these 2 days we can expect short unwinding in Nifty futures. Nifty trading near support on weekly chart. Today's hammerish candle pattern on daily chart suggesting bulls are in action. Nifty is trading in oversold zone. All these points make me believe that there is a case for a bounce in Nifty. No one should forget we are just talking about a possibility here. Major trend is still down and hence one should have strict risk management in place. Here are 3 Swing Calls. All are on long side. Since this article is written on 22nd evening I am considering the entry price as closing price of 22nd Nov. On all the charts below I have marked entry, stoploss and target lines. The levels given below are cash levels. If you wish to trade these stocks in Futures you will have to adjust the price accordingly. 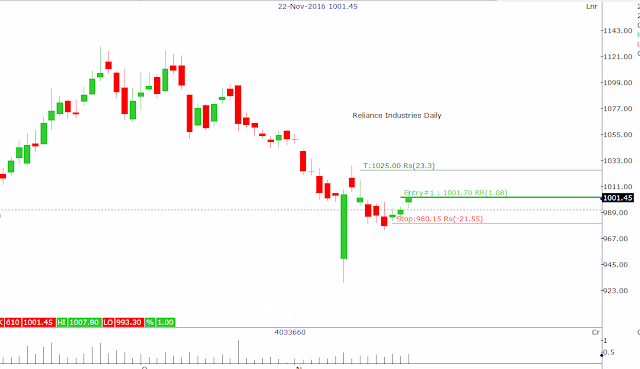 If you look at the larger picture, you will find that Reliance is trading at lower end of trading range. This lower end is acting as support for Reliance. Stock has refused to fall to a large extent during recent pressure in broader markets. You can see some increase in volumes too. Buy Reliance Industries near 1001 with a stoploss of 980 and target of 1025. 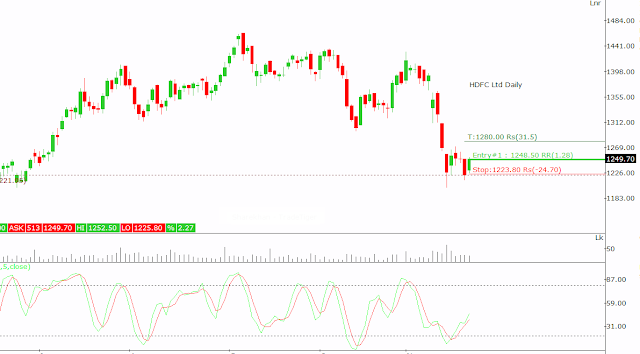 One of the low Beta stocks from Nifty family, HDFC Limited is showing the signs of a bounce from current level. As you can see on the chart the stock is trading in oversold zone near a support. 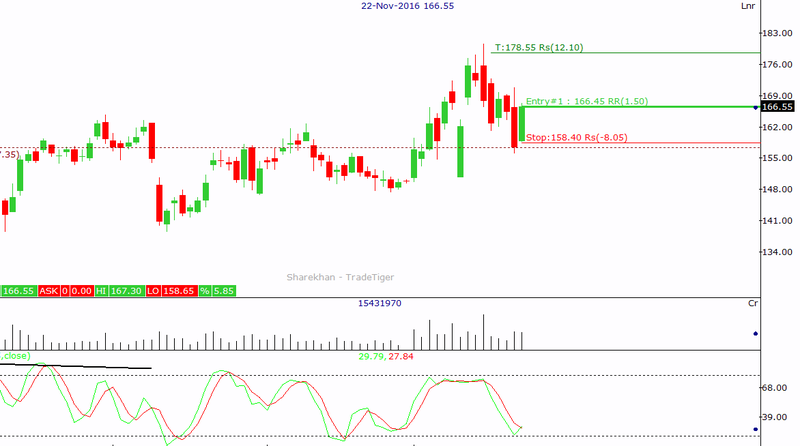 It has also confirmed a Piercing Candlestick pattern on daily chart. Stock trading away from its 50 dma. This makes a case of a possible bounce. One can buy HDFC Ltd near 1250 with a stoploss of 1224 for a target of 1280.